In his “Blue Mind” essay, Wallace J. Nichols, a marine biologist at Ocean Conservancy, says we all have a “blue mind, […] a mildly meditative state characterized by calm, peacefulness, unity, and a sense of general happiness and satisfaction with life in the moment”. This state can be triggered by proximity to water, thanks to which our brains get to a state of soft attention: we are open to diverse inputs without being distracted by them. Our brain is relaxed but focused, helping the creative process by increasing and directing the flow of thoughts. Doing yoga near a body of water, and especially near the sea, promotes this mindful state and reduces our stress levels, decreasing anxiety, pain, depression and sleep disorders. In 2012 a study found that older people who exercise outdoor have higher levels of physical activity than those who do it indoors. Also, the benefits of exercising last longer when it’s done out in the nature. Fresh air means the body receives a healthy supply of oxygen. The air by the sea is even better because of the high levels of iodine and ozone in it. 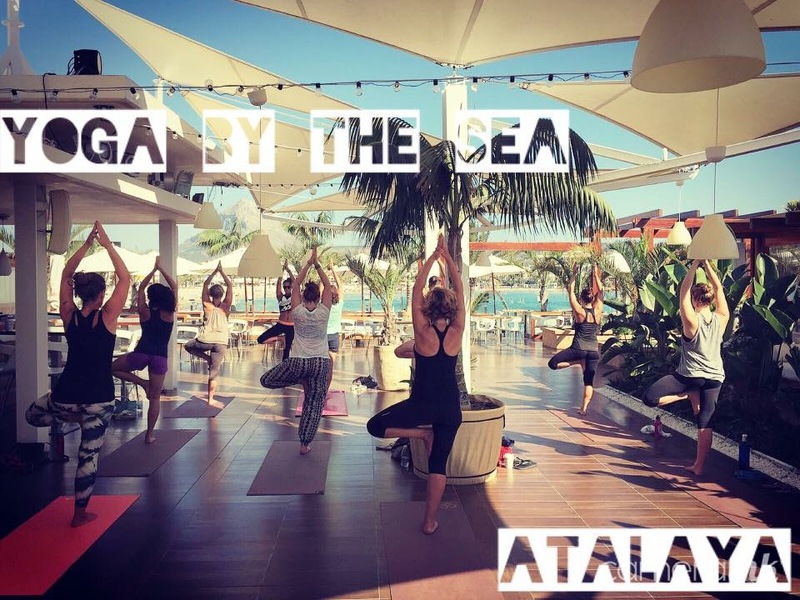 Sea air helps building a strong immune system, so beach yoga can further strengthen it thanks to the many asanas and breathing techniques that work on the thymus gland (Kapalbhati and Bow among others). 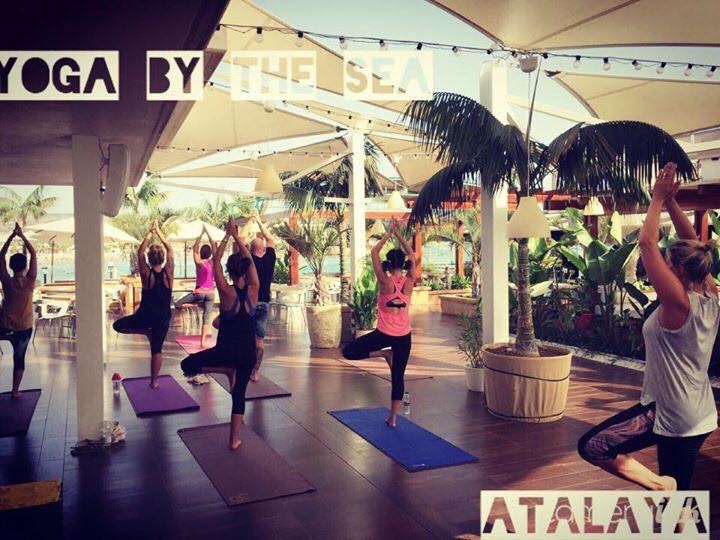 Yoga by the sea also stimulates and improves your metabolism, as well as benefitting the serotonin levels in the brain. As many of us not living the sunny Mediterranean know too well, a vitamin D deficiency is a serious and yet very common health problem SAD (Seasonal Affective Disorder) is sadly a common topic of conversation in the office, where we are starting to see more and more people using special lights to treat it. Research shows that being in the sunlight is beneficial to the body and prevents depression. Having access to sunlight also helps prevent the onset of various forms of cancer and multiple sclerosis (MS). 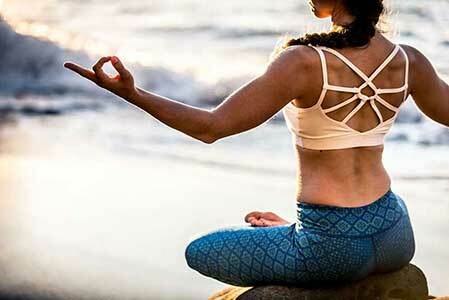 Yoga under the sun can give you an extra amount of vitamin D that your body needs. According to a study published in the Environmental Science and Technology Journal, exercising in a natural outdoor environment (especially near water) helps relieving stress, tension, anger and depression, as well as boosting enjoyment, satisfaction and energy. Five or ten minutes of activity outdoors are enough to improve our well-being. The presence of water induces a meditative state of calm focus and gentle awareness, promoting inner peace and ultimately happiness. 5) It improves your DNA! A recent Norwegian study found that practising yoga changes the expression of 111 genes in immune cells. In contrast, music and walking-based relaxation changed the expression of 38 genes.. A maritime environment has been proved to help our immunity too. 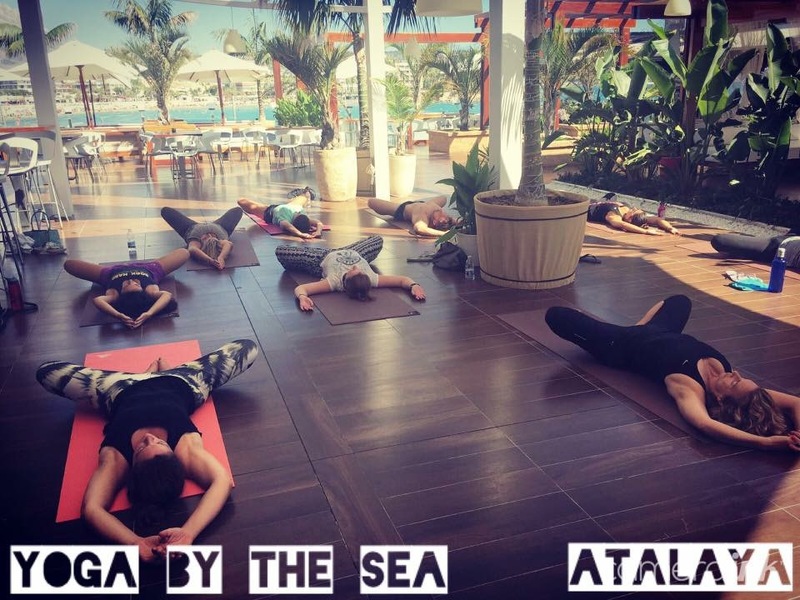 So if you combine yoga and the sea, you’ll have a double boost for your immune system . Research also shows that those who suffer from migraine have fewer and less painful migraines after three months of yoga practice. Migraines could be due to a combination of stress and wrong posture. Poor posture causes tension in your upper back, neck and shoulders, which can lead to a headache or migraine. Yoga is generally a great workout to improve your posture (works your core!) and doing it on the sand make you work that little bit harder on some of the secondary muscles which control the way you stand and sit. Hearing the calming sound of sea waves also helps you relax, releasing that very same tension that could be causing your migraine. This is not really scientifically proven, but the sheer beauty that surrounds you when you do yoga on a beach has to count for something! Yoga means ‘union’ and what better place to do it than where the land, the sea and the sky meet. The sun shines on the peaceful surface of the blue sea. The yellow sand meets the white sea foam. The salty smell of the sea, the soft caress of a sunset breeze and the warmth of the sand under your toes are the best invitation to be in the moment. Om.